As you can probably gather from the fact that there is a new post up on this blog, I am now back from a thoroughly enjoyable week away in sunny Cornwall. I say sunny but what I mean is wet and windy bar one gorgeous blue sky afternoon. The weather failed to put a dampener on proceedings as good company and a shared but warped sense of humor meant that the week just flew past. This holiday was not intended to be a wildlife watching one but that didn't stop me from taking a few photographs as I usually had my camera with me. Despite it making me look like the typical tourist around town I do not regret it one little bit as while most of the group were playing in the sea I managed to get my first ever pictures of a Kestrel. This is a species that I have come so close to capturing on numerous occasions but usually during late evening when there hasn't been enough light for my camera to cope. 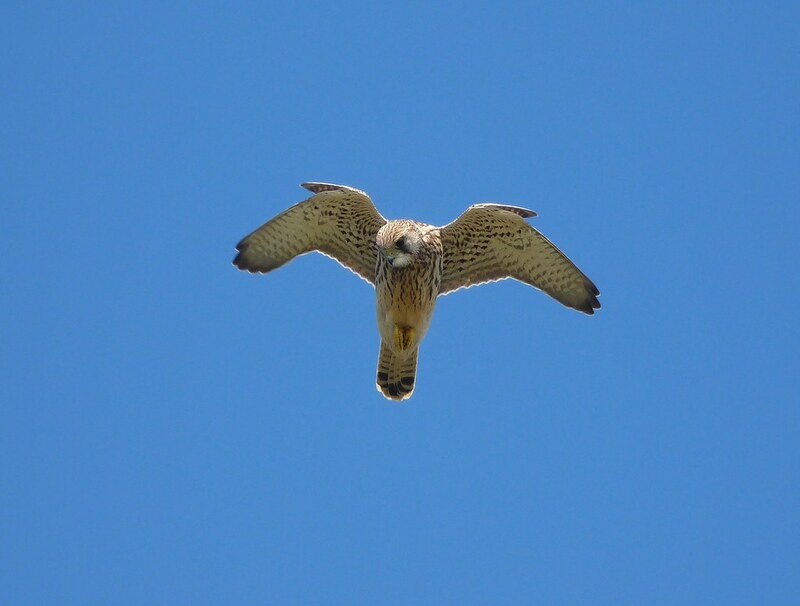 This time however I found that I had all of the light in the world and with a Kestrel hovering directly overhead I was going to find it hard to fail! 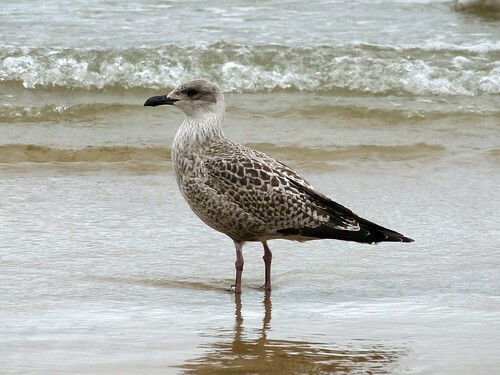 ..... while Newquay Beach itself held a good number and variety of gulls. 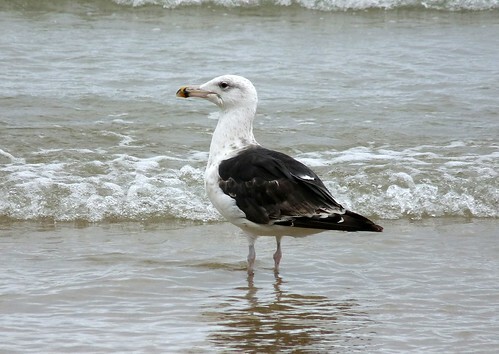 I took the opportunity to capture a Great Black Backed Gull as I usually only see these at some distance, as well as a juvenile gull that I have not yet managed to ID. Juvenile gulls are not really my strong point so if you have any idea what it is then please let me know in the comments below. 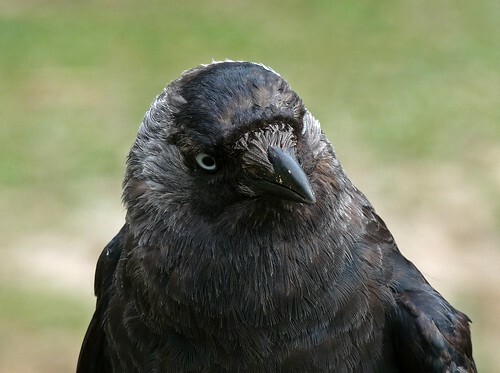 Another of my favourite species (they have to be really given how many of them invade my back garden) was this Jackdaw at Newquay Zoo. Being so used to seeing people this particular individual was very tame allowing me to get a very nice head shot. Other birds seen over the week included numerous fat Wood Pigeons at the campsite as well as Goldfinch, Magpie, Rook and Carrion Crow. 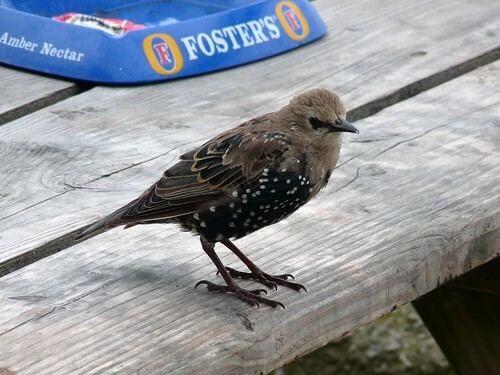 A few small flocks of Starlings were making a very good living as scavengers around the towns streets, often darting around your feet as you walked. The sea cliffs offered several Fulmars and a single juvenile Wheatear. The best sighting though (apart from the Kestrel above obviously) was a group of Gannets that were fishing in Newquay bay. From my elevated position I was able to watch them soaring and gliding before diving into the water at ridiculous speed. You can not fail to be impressed by their agility and size especially when combined with what must be one of the most exciting feeding methods in the bird world. I certainly wasn't. I love Cornwall, Adam: sounds like it was an enjoyable (if wet) week. 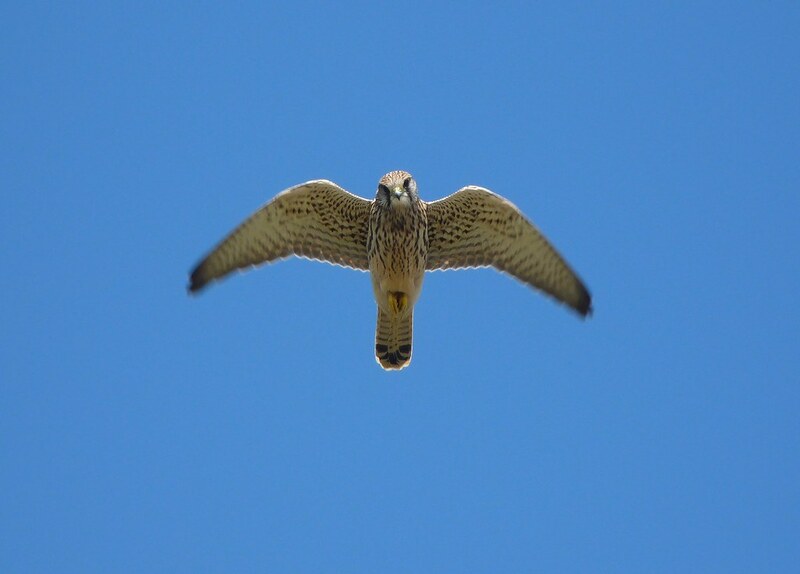 Your Kestrel shots are amazing - and even more impressive on Flickr, on account of size and therefore detail. It was certainly wet! Cornwall is a great location and somewhere I should really try to get more often. I'm glad that you liked the Kestrel pictures. I am over the moon with them.